On April 7th, I wrote about an article I'd read regarding the historic preservation of Yangmingshan (Yangming Mountain). 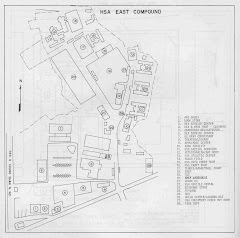 This article described numerous buildings that were former homes or dormitories for American military personnel. I wasn't sure where that area was, and readers explained that it was the Grass Mountain area. 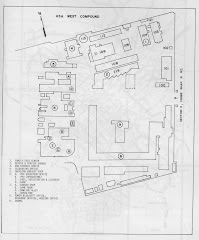 In the area around the hostel were a small police station, a Chinese elementary school, and the International Hotel. I believe the hotel is still there. Next to the hostel was a park with a spring fed swimming pool and the water in it was really cold. There was also a basketball court where the Chinese kids regularly ran us ragged. On the other side of the park was Chiang Kai Shek's summer residence. In the winter (it never really got that cold) months, he stayed at a residence on what was then the outskirts of Taipei. A short walk below the hostel was the American housing and recreation compound. I made pretty good use of the bowling alley, movie theater, and tennis court there. A short walk above the hostel was the Chinese War College. From there to the communications site at the top of the mountain was further than you'd want to walk, so any time I was up there I rode. I don't remember what it was called, but I've seen it referred to as STRATCOM, AFNT, and ICRT in your blog. 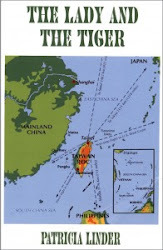 What I do remember were the two huge microwave antennae pointed at Okinawa. If birds flew in front of the antennae when they were active, the birds died. Does anyone know if the hostel building is still standing? If so, what is it used for? In the article that I linked to at the top of this piece, there is a reference to preserving "...dormitories of the US Taiwan Defense Command," but it's not clear that they're talking about Grass Mountain. Opinions? 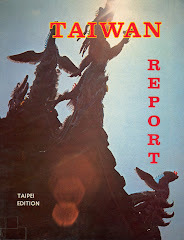 Coincidentally, Kent Mathieu, who operates the Taipei Air Station website and blog, just sent me another fascinating article, this one from the Asia Times, dated 6 Mar 2003. It describes in some detail how part of Grass Mountain is (or recently was) being used for some very hush-hush kinds of things. A little more on Hostel #1. On the left side of the lower photo above, you can see a rounded roof section of the building. In that section were two pools fed by a hot sulfur spring. One was accessible from inside the hostel and was for the use of the hostel residents. The other was accessible from an outside entrance and was open to the public. The water temperature in the pools would vary from lukewarm to very hot. When it was very hot, I would come out of the pool pink and so relaxed I could hardly walk. A few hundred yards away in the park was the swimming pool fed by a very cold spring. I thought it was intriguing two springs of such different nature could be so close together. I was stationed at Grass Mountain from 1967 till I left on Jan 1970. The photos of the hostel brought back memories. I was at the hostel from July 1955 to about December 1955. When I arrived all the rooms were occupied and perhaps 20 cots were set up in the large area just after the main doors. I slept with officers in this area until I was able to get a room. I was a Private just out of Signal School at Ft. Monmouth, New Jersey having completed the Countermeasure Search and Analysis course (204.1). Shortly thereafter we became part of the Army Security Agency (ASA). At that time we had to move to an existing ASA unit under somewhat rustic conditions. It was closer to our work site but not a very clean place. And a world away from the plush hostel. The ride down Grass Mountain was a thrill. 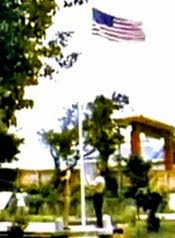 Our unit was the 10th ASD (Army Security Detachment) with our small headquarters in the MAAG compound near downtown. It was located just across a small interior road from the EM club. (Enlisted Mens) We had a Captain and an Exec. Officer as leaders. A Warrant Officer was also assigned, but no one could figure out what his job was. The unit had about 30 enlisted men. I worked 3 days on and 3 days off. Our isolated work site was about one hour from our small HQ on a high bluff overlooking the ocean and facing Red China. During the 3 days on we worked in 2 hour shifts around the clock. At the end of these 72 hours we were a little loopy and ready for 3 days of drinking. Following my year I was assigned to Ft. Huachuca, Arizona and helped a civilian EE design antennas. I would like to hear from any one who was in the unit. Remember Tien Mou Trail and picking Tangerines fro Admiral Chews Yard. Remember the Lagoon and Red River?? I was at Grass Mountain and the Troposcatter site between July 1969 and July 1971. I was with STRATCOM. A couple of people I remember working with were SP5 Gary Knight and SP5 Dan Fakuda , SFC Koble and SSG Wiielly. I'd love to hear from anyone remembering that timescale and place. I was housed at the Grass Mountain hostel for 6 months before securing public housing in downtown Taipei. I was with the Det. 6, 11th Air Postal sqdn. Charlie, the houseboy would advance us NT whenever we were short cash for relaxing at Club 63. Breakfast was 40 cents. 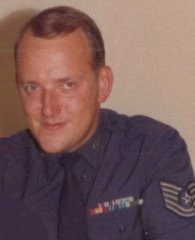 It was best part of being in the Air Force - no barracks, mess hall or KP. TDY pay was $25.00 a day. I was 18 and stupid. One Gold ounce could be purchased for $25.00. See, stupid! It was best 3 years of an 4 and 1/2 years enlistment. orI lived in the Hostel, when I first arrived in Taipei June 1964. I was in the Armed Services Police. It was a great place to live. My family lived at Grass Mountain in the late 50's, when I was 5 or 6. My Dad worked for the CIA. There were a lot of very nice single-family houses for Americans there, with wood siding and tile roofs. (Could we all have been CIA families?) During hurricane season, the Chinese yardmen would nail big galvanized shutter panels over the windows. I have vivid memories of the house across the street from us burning down -- I also have a photo of the remnants. There was a hospital and some kind of rec hall or officers' club where we saw cowboy movies on Saturdays. We lived at that Hostel for a few months - my dad was Col. Elwood McSherry and assigned to MAAG - eventually we were given a house in an American compound down the road - This was in the late 1950's. 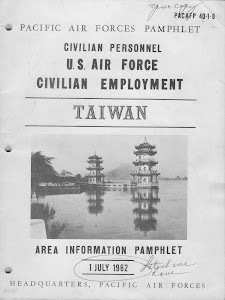 I went to the American-Chinese school in Taipei and we had airraid drills once per week. We used to go to his large hotspring pool inside a building up near the hostel. I can still remember one of my buddies, Jay Crawley, he had chronic asthma. We actually climbed Grass Mountain - if i remember there were two small stoney peeks at the top. We came close but the elephant grass was tough to get through. We used to swim in that river in our clothes and one of the villagers told us no, watch out for leeches. I remember the sulfur and how it ruined anything metal after awhile.